cultural heritage, but also to enrich a creative melting pot, in constant effervescence. 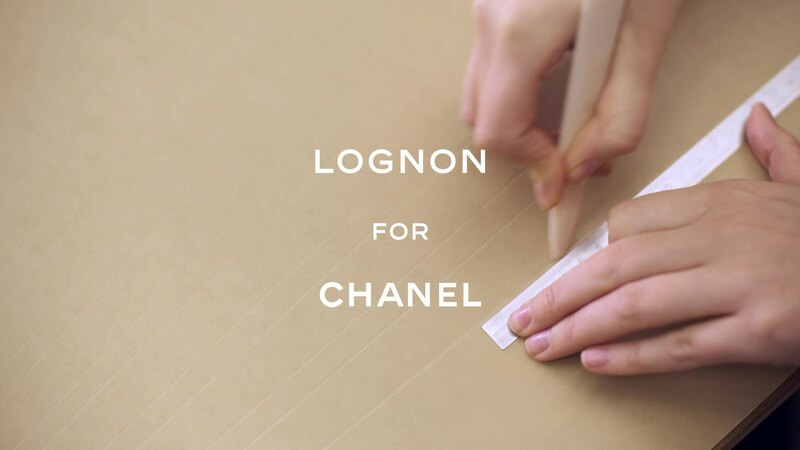 to dedicate a Ready-to-Wear collection to this precious savoir faire that contributes so much to the influence of French luxury and fashion around the world. Today, ‘Paraffection’ brings together twenty-six Maisons d’art and manufacturers. Since 2002, Karl Lagerfeld has unveiled a collection dedicated to CHANEL's Métiers d'art each December. This runway show highlights a truly creative dialogue between the creator and the Métiers d'art Houses and manufacturers, making it possible to maintain an artistic, technical and cultural heritage, but also to enrich a creative melting pot, in constant effervescence. 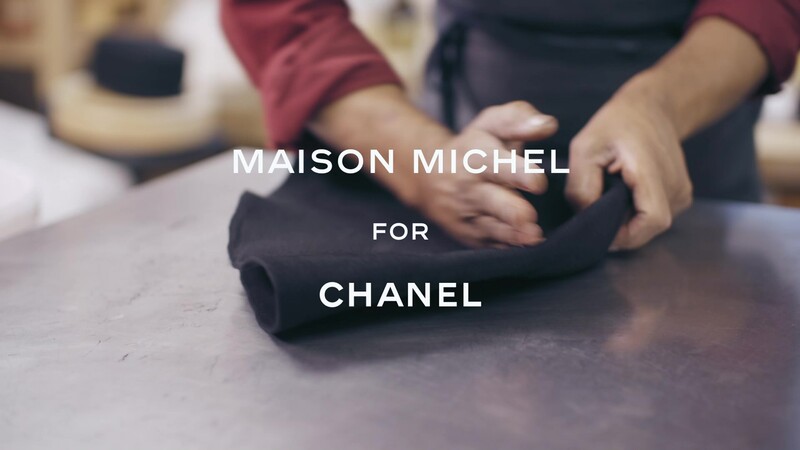 Having commenced the acquisition of the Métiers d’art in 1985, now united under the ‘Paraffection’ umbrella, CHANEL is a pioneer of preservation and the only House to dedicate a Ready-to-Wear collection to this precious savoir faire that contributes so much to the influence of French luxury and fashion around the world. Today, ‘Paraffection’ brings together twenty-six Maisons d’art and manufacturers. 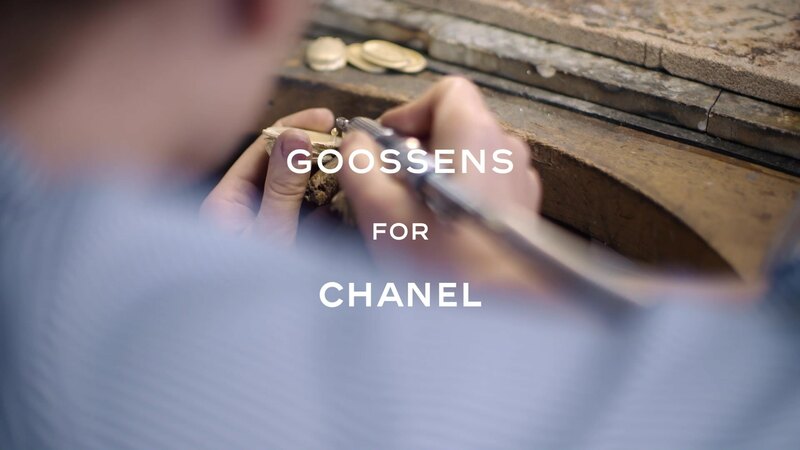 Gabrielle Chanel's original jeweller, the Maison of Goossens, has contributed to a CHANEL collection with handcrafted buttons and bold belt buckles. The buttons, cast in resin in lapis lazuli blue, are in the form of scarab beetles; their gold backing engraved with Egyptian hieroglyphics. Goossens also brought their precious, decorative touch to Massaro's shoes and boots, inlaying each heel with coral and turquoise enamel motifs. Gabrielle Chanel's original jeweller, the Maison of Goossens, has contributed to a CHANEL collection with handcrafted buttons and bold belt buckles. The buttons, cast in resin in lapis lazuli blue, are in the form of scarab beetles; their gold backing engraved with Egyptian hieroglyphics. Goossens also brought their precious, decorative touch to Massaro's shoes and boots, inlaying each heel with coral and turquoise enamel motifs. leather boots cast in solid gold or a metallic graffiti with New York and ancient Egyptian-inspired motifs. Working with Karl Lagerfeld's illustrations, the skilled bootmakers at Massaro fashioned four new styles for the Paris-New York Métiers d'art collection: a flat, closed-toe, gold leather sandal exudes elegant simplicity while black and two-tone gold pumps are much more ornate; their heels bejewelled by fellow Métiers d'art Maisons, Goossens and Desrues. The Massaro craftsmen also made two-tone gold boots with black patent leather toes, and over-the-knee leather boots cast in solid gold or a metallic graffiti with New York and ancient Egyptian-inspired motifs. custom tweeds brim with vivid blue and earthen-toned thread interwoven with hand-painted gold ribbon. A rich, mineral palette informs the vibrant hues used by the embroidery House Lesage. Metallic and multi-coloured bugle beads fan out across garments like sunbeams, while patterns mirroring the palms of a papyrus leaf were hand-appliqued using a mix of glass beads and decorative metallic thread. Sumptuous adornments that feature a mix of embroidery and stones from Goossens appear as trims and ornaments on straps, bodices, breastplates and shoulders. Hand-loomed, custom tweeds brim with vivid blue and earthen-toned thread interwoven with hand-painted gold ribbon. in a collection of intricate and ornate cuffs, brooches, medallions and earrings. The House of Desrues found rich inspiration in Gabrielle Chanel's taste for precious objects and costume jewellery, spelling out her name in some of their designs for the Métiers d'art collection. In their ateliers, they forged collars and earrings from hammered metal, setting them with pearly cabochons and bright lapis lazuli. Other precious styles feature fantastical renderings of sacred animals from the antiquities like scarab beetles, accumulating in a collection of intricate and ornate cuffs, brooches, medallions and earrings. vibrant tones, along with the House's signature monochromatic hues. 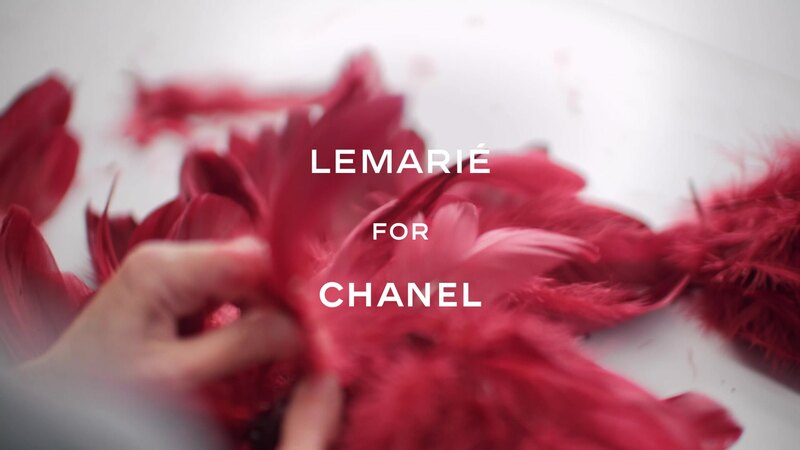 In the weeks leading up to Paris-New York Métiers d'art show, ten artisans from the Parisian plumassier Lemarié worked in tandem, hand-applying rows of feathers to Karl Lagerfeld's creations. Following an age-old technique, they hand-painted feathers in a palette of navy, turquoise, red and gold, before carefully cutting and then assembling them in geometric reliefs. The signature CHANEL camellia was carefully crafted in the same vibrant tones, along with the House's signature monochromatic hues. A combination of pleated black tulle and organza add movement to the silhouettes featured in the Paris-New York Métiers d'art collection. while swathes of layered pleats festoon the sleeves of another. A combination of pleated black tulle and organza add movement to the silhouettes featured in the Paris-New York Métiers d'art collection. The delicate accordion pleats, set just 5mm apart, were moulded in the Parisian atelier of Lognon and added to the skirts of several dresses, while swathes of layered pleats festoon the sleeves of another. plaited Scoubidous and hand-painted, twisted and pierced pieces of leather. The playful hand of the Parisian embroiderer Montex is evident in the colourful, graphic motifs and trims adorning some of Karl Lagerfeld's dresses in the Paris-New York Métiers d'art collection. A crystal rendition of skyscrapers, icons of the New York City skyline, animates the sleeves, collars and hems of a handful of dresses. Elsewhere, there are long dresses canvassed with an artful combination of beads, plaited Scoubidous and hand-painted, twisted and pierced pieces of leather. Inspired by majestic headwear, Karl Lagerfeld's designs were brought to life in the historic Parisian millinery atelier of Maison Michel. an original mould with a high crown and folded brim.